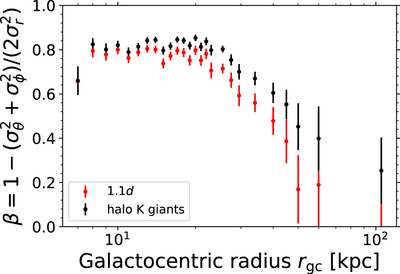 Effect on the estimates of the anisotropy parameter β if we adopt a systematic correction to our distance scale for halo K giants of 10%, to bring the giants into agreement with the distance scale for nearby halo K giants due to Bailer-Jones et al. (2018). Black symbols show β for the Xue et al. 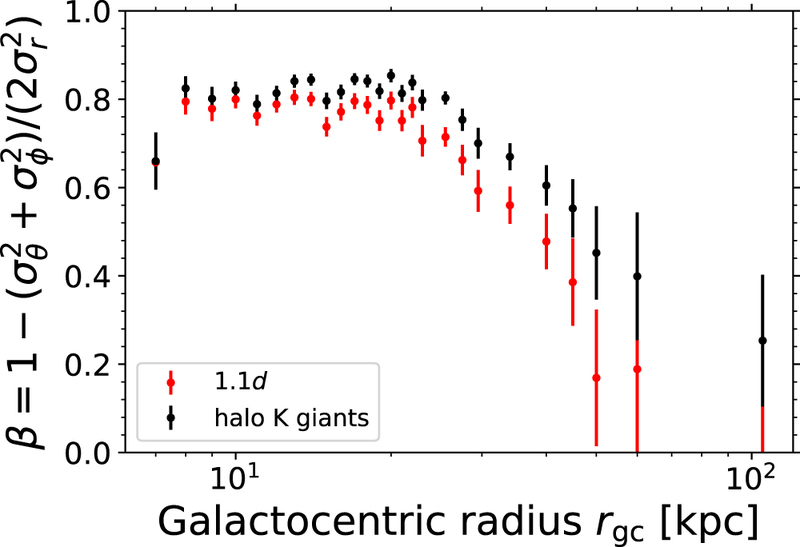 (2014) distance scale, and red symbols show β for this distance scale increased by 10%.